If you want to start investing in real estate you will find that the single largest obstacle is to finance your first purchase. You will need to provide the principle and you will need to convince your bank that you can honor your commitment and pay your mortgage. It is not unusual that the bank require you to finance a larger percentage of your first real estate investment than they will when you want to buy more real estate in the future. When you buy your first investment property you might have to finance 20% of the purchase yourself with the bank providing 80% of the purchase price. 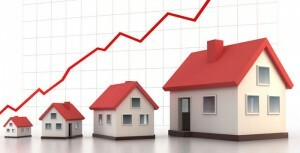 Later when you have a proven record you might be able to loan 90% or even more of the purchase price of a property. In this article we are going to look at how you or anyone else can get the money required to finance their first property purchase. In this article we are going to assume that you do not have any savings and that you cant simple use money you already have to pay the part you can not borrow. We are going to assume that you have a dream and no savings. If you do not have any saving of your own you can either save and invest money to earn the necessary amount or you can borrow it. You can either borrow the money from a friend/family member or you can get an unsecured loan from a bank or financial institute. Neither of these options are a good idea. We never recommend borrowing money from family and friends. There is a great risk of confusions and if you for whatever reason are unable to pay according to plan you might destroy an important relationship in your life. Even if you can repay the loan according to plan their might be friction if the person who borrowed you the money want it back early and get upset if you cant pay it back at that moment. Avoid borrowing money from anyone you like or otherwise have an emotional bond do. Business works best when there are no emotions involved. Unsecured loans are a better option if you are able to get one. To get one you will need to have stable employment and a salary that is high enough for the bank to feel that you can afford to pay the monthly payments. We recommend against using personal loans to purchase your first property unless you have the opportunity to purchase a property at a very good price. A price far below market value. The reasons for this are many. The most important are. Unsecured loans are expensive and the interest rate a lot higher than what it is when you get a mortgage. It can be very cumbersome to pay both the mortgage and the personal loan every month. 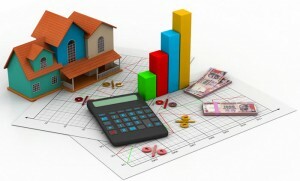 The monthly cost can be so high that it becomes hard to make the property profitable. You are likely to make mistakes when you purchase your first property. It is therefore best to try to avoid being to highly leveraged as that give less room for mistakes and increase the risk profile of the investment. By borrowing all money you need to buy a property you are more likely to make a more spontaneous spur of the moment investment than you are if you spend years building towards your dream of becoming a property investor. 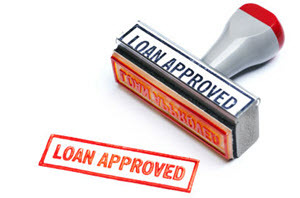 Unsecured loans are a better but more expensive options than borrowing from friends or family. We do however feel that we can not recommend either. It is better to earn and save the down payment before you buy your first property. We strongly believe that this helps you get the determination you need to succeed in real estate and it also gives you time to learn more about real estate before you buy your first property. 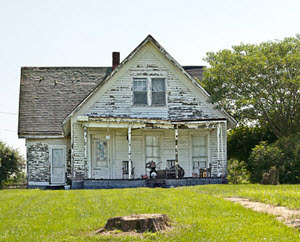 It might take a few years before you get there, but once you do you will have a more solid foundation that allow you to expand your real estate empire faster. When you first decide that you want to invest in property it can feel impossible to save the money needed. However it can often be faster and easier than you think. Especially if you are willing to devote yourself to your goal. We recommend that you start by deciding an amount that you think you are going to need to be able to buy a property. Decide what type of property you want to buy. Research how much that type of property cost and set your goal to save 25% of that amount. Once you have a set goal it become easier to reach it. This is due to the fact that you can keep track of your progress and keep yourself motivated. The key to being able to save enough money to reach your goal is reduce your expenses and find ways to earn extra money. This can sound hard but is usually a lot easier than you think. At least if you are motivated to succeed. Almost everyone spend money on things that they could do without and can reduce their expenses. Almost everyone can save at least 10% of their paycheck towards their goal. The first thing you should do is to start to deposit money into a saving account at the beginning of each month. There will never be any money left to save at the end of the month. You will however be able to live without it once it is out of your account. By creating the illusion that you don’t have the money it becomes easier to save the money. You should however still try to have money over at the end of the month and if you do you can move that to your savings account as well. It might feel like you do not have an areas that you can cut back on but almost everyone does. Areas where most people can save money include cable subscription, alcohol, eating out, gym memberships, insurance and candy. Write down all your expenses during a month and I am sure you going to find areas where you spend more than you think and where you can save money. Saving money will however only get you so far. The key to quickly reach your goal is to create new revenue streams that can be used exclusively to reach your goals. One way to do this is to get a second job. It can however be hard to find the time for a second job. A better option is usually to earn money by doing freelance work. There is plenty of freelance work available on freelance websites. You can do this work from home when you have some extra time. If you work 2 hours a day earning $15 a hour you can put $900 into your savings account each month. This allows you to quickly reach your goals. It is not hard to find small jobs that pay $15 an hour or better on the freelance websites such as freelancer and odesk.com. If you are able to lower your expenses by $600 a month and earn an extra $900 doing freelance work you will be able to put away $18 000 a year. Enough for you to be able to buy your first property within a year or two. Below you can find information on a number of different types on investments you can do to grow your money quicker and therefor buy your first house earlier than you otherwise would be able to. All of these investments make it possible to earn a lot of money quickly. They are however associated with a large amount of risk and you might lose all the money you have invested (and in some cases more). We do not recommend investing in any of the financial instruments we mention below. We prefer to recommend a slower but safer way to riches and financial freedom. We do however know that some of our readers will feel anxious to get to their goal and will be looking for ways to earn money quickly. When they do they are likely to encounter information on the instruments we will talk about below. We therefor want to talk about them and tell you about the risk you face if you choose to invest in them. Binary options are a type of financial instruments that gives you a very high return on investment over a short time span. Sometimes they offer as much as 80-90% in just a few minutes. Binary options are often being heavily advertised as an easy way to earn a lot of money. Other sources refer to them as scams. Neither narrative is really true. They are not scams as they are very open with how they work and it is possible to earn money trading in them. They are however not an easy way to make money and most traders that trade with binary options lose money. 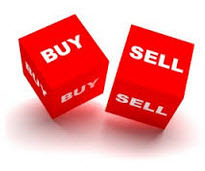 When you purchase a binary option you are trading against the broker. If the binary option ends in the money you earn money and the broker looses money. If the binary option ends outside the money you loose and the broker gains. All binary options are designed to give the broker an edge. They are designed to make sure that the broker earns money over time. For every $100 some one gains, some one else loose $110. This does not mean that you can not make any money. But you will have to be a more skilled and lucky trader than most others. Remember that most trader loose money when they trade with binary options. If you want to learn more about how to trade wit binary options we recommend that you visit binaryoptions.co.uk. A website that offers good broker reviews and a somewhat balanced picture of the risks and benefits that binary options offers you. Forex Certificates are another heavily advertised way to make a lot of money quickly. Forex certificates make it possible for regular traders and investors to trade on the currency markets. To trade on the Forex market is associated with very high risks and we recommend that you leave it to the professionals. When you trade on the Forex market you can loose more money than you have invested. If luck isn’t on your side you can loose many times your investment. The higher leverage you trade with the more you can earn and the higher the risk. The currency markets are very hard to predict and you need to be devoted to the trade to make money. It is not a good way to make extra money on the side. There are plenty of advertising online about different investment and gambling systems that are guaranteed to allow you to make a lot of money. None of these system works. They are either very hyped or pure scamms. There are no systems that guarantees you to win money. At least none that is legal. We recommend that you do not waste your money looking for short cuts and instead refocus on the task at hand.